Bread is big business, with one in three Canadians visiting bakery cafes every month, while sugar-free confectionery is addressing growing consumer health concerns. Bread was once mostly baked in the home. In 1900, it was estimated that only 8% of Canadian households bought bread from a bakery; 60 years later, more than 95% regularly did so. Some of Canada’s earliest bakeries evolved into the country’s largest commercial food companies, such as George Weston Ltd.
Canadian bakeries have continued to adapt and improve their product. During World War Two, concerns over high rates of iron deficiency saw breads fortified with iron. Other vitamins were added later. There have been dramatic changes in the industry over the last 40 years thanks to improvements in transport links, packaging and food processing technologies. Confectionery manufacturing emerged as an industry in the late 1800s, with Toronto-based company Robertson Brothers Ltd starting out in the candy business in 1864. In 1873, Moirs Ltd, which was originally a bakery, began candy production in Halifax, with other competitors opening up nationwide. Today, the sugar and confectionary manufacturing industry generates a total revenue of $4.6 billion. Due to increasingly health-conscious consumers, sugar-free confectionery is the fastest-growing segment. Nestlé Canada and Hershey Canada are the leading companies in chocolate confectionery, accounting for 15% and 14% of value sales, according to Euromonitor. Firstly, it is important to determine what type of bakery or confectionery business you intend to operate. Will you make your own produce in-house, or do you plan to resell baked goods or confectionery that you buy in from a wholesaler? This decision will determine what equipment you need. If you intend to make your own produce, there are some commercial kitchen essentials you will need to invest in: specialised baking ovens, proof boxes, mixers, bread slicers, baking tins, racks and utensils, and adequate work surfaces. 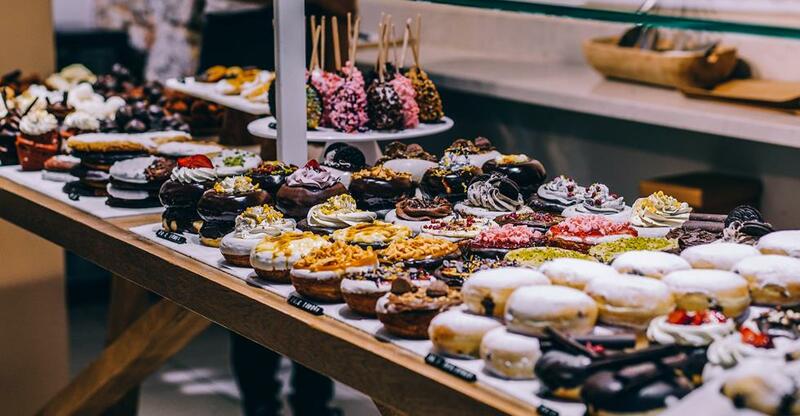 Whether you’re buying an established bakery or empty premises with the intention of converting them into one, you should first consider location and footfall as much of your trade will come from passers-by. Once you have decided on a location, you should contact the local government to determine what permits and licenses you need. The Canada Business Network has a section on permits, licences and regulations. Some 57% of Canadian bakers have no post-secondary education. However, a passion for and knowledge of bakery products and production is essential. You could research fairs and markets, and cafes and delis in the local area as it could be a way to sell artisanal or homemade baked goods or confectionery without having to make them yourself. Instagram, Pinterest and Facebook are the best online platforms for showcasing your confectionery or bakery creations. You could also share your ideas and views about the latest baking trends on Facebook. Creating a YouTube channel or blog is another avenue for reaching potential customers. But it’s a competitive market; it’s important to carve out a niche that will make your blog stand out from the countless other baking blogs. Operating a bakery or confectionery business from home is the best route for entrepreneurs who lack the funds to invest in premises. You should also factor in costs for delivery and packaging when considering a home-based business, and spend time researching cost-effective packaging that will protect your baked goods or confectionery during transit. Ever-changing demand for specialist dietary products presents bakery owners with a chance to diversify. For example, you could focus on gluten-free breads or soy-based goods. The Canadian bakery market is at the forefront of innovative trends in the industry, which echoes Canada’s history of using diverse ingredients. Bakeries diversified beyond wheat-based flours between 2006 and 2012 into flours made with chia and rice, for example. Other revenue streams could involve adding a cafe or offering catering services. More than one in three Canadians visit bakery cafes every month and gross profit margins on a cup of coffee or tea are comparatively high. If the overheads of running a café – such as staffing and rental costs – put you off, running a catering service from your kitchen could be a great way to harness the equipment and workspace that your business already has. The bakery and confectionery industry is saturated; relying solely on homemade, high-quality products might not be enough alone to survive in this crowded marketplace. Finding a USP – unique selling point – can persuade customers to choose your bakery over a competitor nearby. Your USP could be anything from offering a variety of artisan breads to hosting in-house baking classes. To keep your business fresh, you need to stay ahead of the curve. If cupcakes are in fashion, for instance, then try creating an imaginative style of cupcake to give your bakery an edge. Window displays are also a great way of enticing customers with your confectionery creations. National favourites, such as the Jos Louis cake – a predecessor to the red velvet – are strong sellers, or you could be become renowned for creating your own signature cake. You could use eco-friendly packaging or old-fashioned baking techniques. One bakery even live-streamed its staff hard at work. Buying an existing bakery could be a good start for first-time entrepreneurs, particularly if you are buying a successful business with a good reputation. Do your research and decide whether you prefer to buy an independent business or travel down the franchise route. There are a number of bakery franchises, such as COBS Bread or Cinnzeo. The initial investment can be considerably higher than buying an independent store. For example, a CinnZeo franchise will require investment of between $200,000 and $400,000, with an ongoing 7% royalty fee of all sales. However, it is important to remember that operating under a recognised brand will instantly attract customers and following a proven formula will give you a higher level of financial security. Get in on the baking trend! Running a bakery in Canada involves plenty of early starts, an appetite for hard work and a sprinkling of determination. At the turn of the 20th century, 92 per cent of Canadian households baked their own bread.